Clyde McQueen seethed recently when an employer — a friend, no less — moved 20 welding jobs to Iowa. “Because we didn’t have enough welding classes going on,” McQueen told an audience at Missouri Gov. Mike Parson’s Conference on Economic Development in Kansas City recently. As the chief executive of Kansas City’s Full Employment Council, McQueen sees this disconnect all the time. His task is to match people — especially those with economic disadvantages — with jobs. Preferably good-paying jobs that aren’t likely to disappear at any moment because of automation or other marketplace factors. Those jobs are available aplenty around Kansas City, McQueen said, mentioning city infrastructure projects, construction of a new Kansas City International Airport and expansions at private companies like Cerner. But those kinds of jobs generally require specific skills that McQueen’s clients don’t have. And the region isn’t moving fast enough to help people develop those skills — especially his people. “When we hear about an unemployment rate of 3.4 percent, those are the people who have cars. Those are the people who have houses and other things,” McQueen said. His clients are more likely to lack reliable transportation, good child care options and savings accounts. “They usually don’t have a week in cash,” McQueen said. His clients need the opportunity to “learn while they earn,” McQueen said, and that means support organizations must think outside the box. With that in mind, the Full Employment Council recently accepted 13 mostly young women into a training program that will lead to construction jobs. With funding assistance from a U.S. Department of Labor grant called WANTO (Women in Apprenticeship and Non-Traditional Occupations), students complete a six-week training program and then move to paid internships that are designed to transition into apprenticeships and ultimately jobs. His staff worked with the women to iron out child care and transportation details before they started training, McQueen said. The program is modeled after a police academy or armed services boot camp in the sense that participants are paid to be trained. With income coming in, women are less likely to be derailed if a child takes sick or a car breaks down. The Builders Association of Kansas City is a partner in the program. Students hear from women already in the construction industry about what to expect, such as early-morning starting times and lulls in construction jobs that require workers to be creative about earning income in the off-season. At the governor’s recent economic development conference, other panelists shared approaches they are trying to get people qualified to succeed in the workplace. 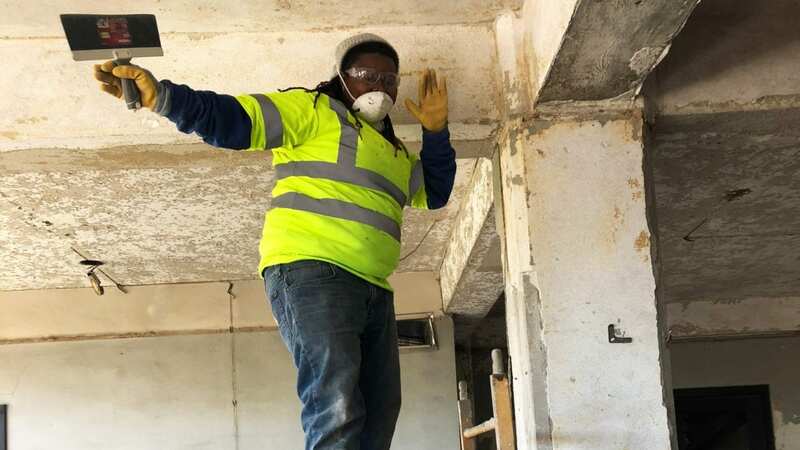 In St. Louis, the city’s Agency on Training and Employment has opened a Workforce High School for young adults ages 17 to 21 who have dropped out of traditional school. Students have access to online classes and instruction, mentoring and around-the-clock case management services. “If you have a chance to get a hamburger 24 hours a day, if you have a chance to get in trouble 24 hours a day, you should be able to go to school 24 hours a day,” said Alice Prince, the agency’s executive director. Andy Hrasky sees the challenge from the business side. He is the general manager of LMV Automotive Systems, a high-tech manufacturer in Liberty. His company is proactive; it has established its own training center, and it works closely with area school districts and the Northland program known as CAPS — Center for Advanced Professional Studies. Students train for jobs as robotic engineers, who have the potential to earn $50,000 to start and more than $100,000 once experienced. In the upcoming weeks, Flatland will detail some workplace development issues by highlighting portions of Parson’s conference that focused on schools and cities.